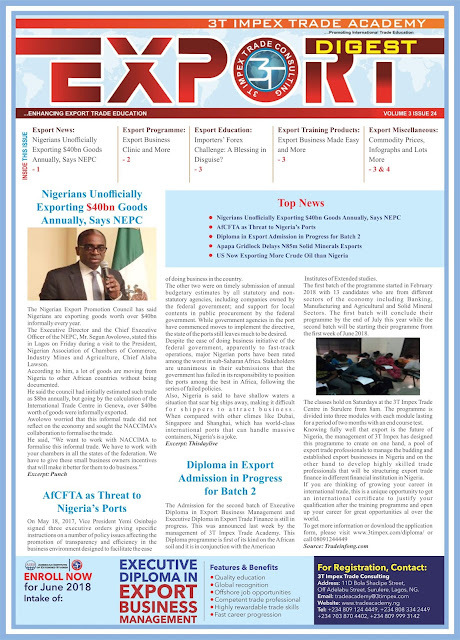 The Head of the Nigeria Office of Trade Negotiation (NOTN) Ambassador Chiedu Osakwe recently concluded his tour round the country to sell the ideas and benefits behind the African Continental Free Trade Agreement (AfCFTA) to different stakeholders in the Nigerian economy. This was a fallout of the controversy that trailed the absence of the Nigerian President at the signing ceremony of the AfCFTA. The NOTN team was mandated by the president to consult widely with all the stakeholders in different parts of the country. This has made the NOTN to meet with tens of trade groups and also visit the following locations in the 6 geopolitical zones in the country and these include Kano, Benue, Maiduguri, Owerri, Calabar and Lagos. The consultation has been largely successful because it has significantly cleared the doubts and allay the fears of the stakeholders on the wrongly perceived dangers of signing the AfCFTA. The Ambassador, who lead the Continental team that drafted this agreement was able to assured Nigerians that the AfCFTA is not going to expose the Nigerian economy unduly to influx of foreign goods. He was able to highlight some of the safeguards in the agreement that will make this to be impossible. rotocol on trade in goods which is on modification of schedule allows state parties to modify these schedules from time to time as dynamics of their various economies demands. Anti dumping and countervailing measures. This agreement allows state parties to impose duties on goods that are imported into their countries at a price lower than what is obtained in the exporting countries. This might be due to subsidies in the exporting country or market penetration strategies by the manufacturer or exporter. Above all is the protocol on Arbitration. This is a very unique feature of the AfCFTA and an improvement on the deficiencies of the ECOWAS Trade Liberalisation Scheme (ETLS). This is because it allows aggrieved exporters to tender their concern with the relevant committee at the AfCFTA secretariat in order to resolve any issue or wrong doings of either state parties or individuals companies in the AfCFTA regions. 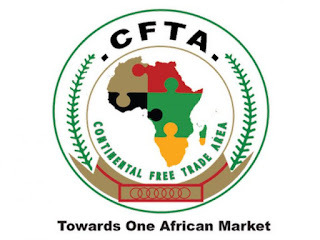 Finally on the safeguards, the AfCFTA has a provision for any state party to exit the from the free trade areas on the African Continental after 5years of signing the Agreement if such a country so desire. This means it is not a forced marriage because we can divorce if it becomes necessary. 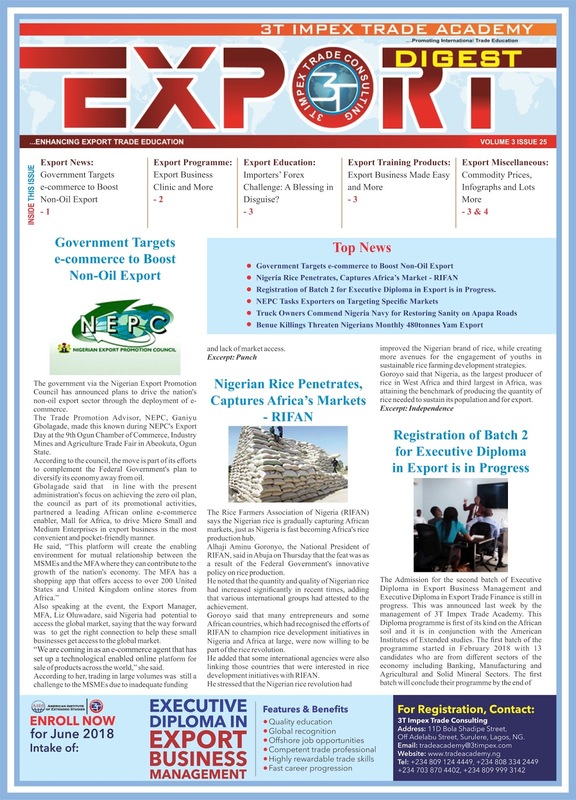 There are many other protocols in the AfCFTA that can serve as a tool to protect the Nigeria economy. I think the Ambassador and his team at the NOTN have gone a long way to convince most of the stakeholders in the Nigerian economy that we are safe under the AfCFTA. It is also worthy of note that we have just 180days from March 21, 2018 to sign this agreement. If we do not sign by then, the rest of Africa will move on and if we intend to join some years down the line, we will have start a fresh negotiation through the World Trade Organization (WTO) before we can be admitted. AfCFTA secretariat, the Agreement will take effect which means the state parties can begin to transact businesses under the law. 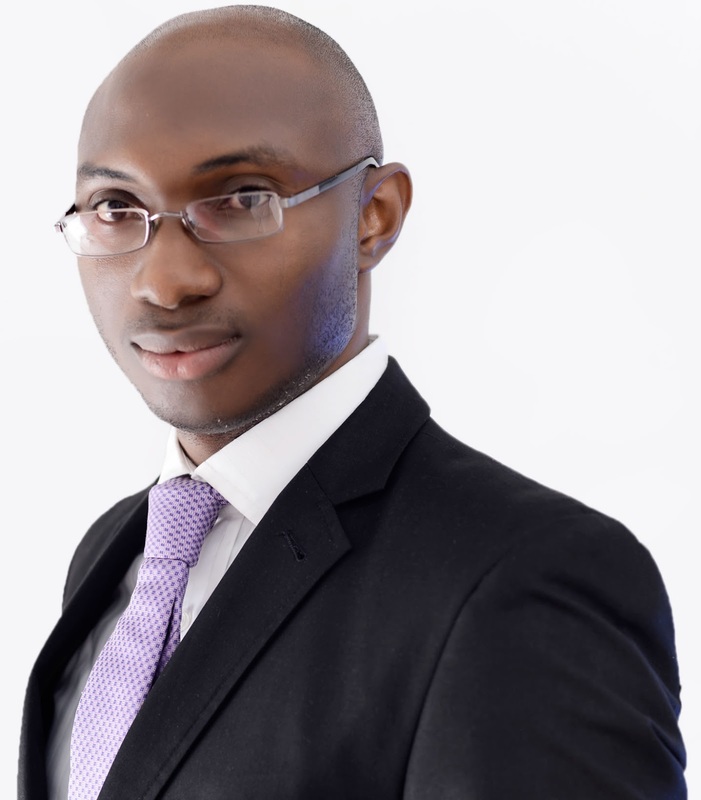 In conclusion, if we want to grow our economy to an enviable height, if we want to create more jobs for our youths, if we want to create markets from Agro processors and manufacturers in Nigeria, if we want to retain our pride of place on the African Continenta, then signing of the AfCFTA is the way to go. 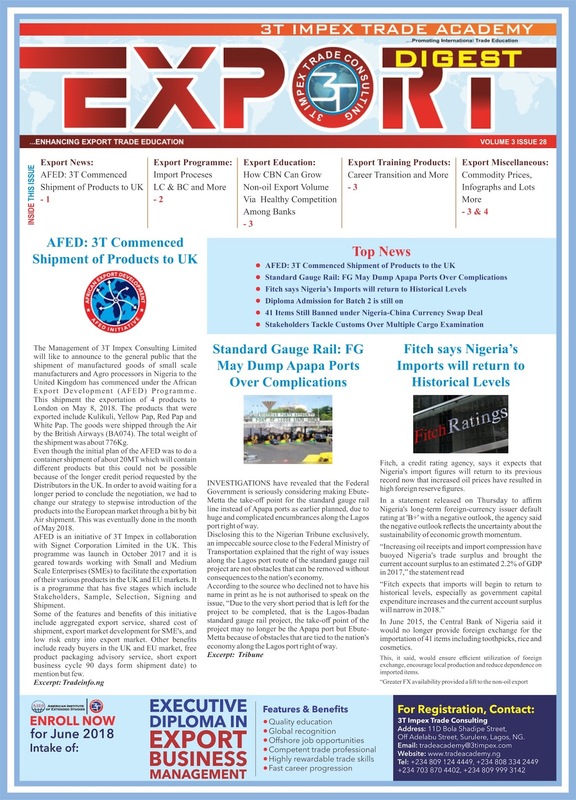 The Management of 3T Impex Consulting Limited will like to announce to the general public that the shipment of manufactured goods of small scale manufacturers and Agro processors in Nigeria to the United Kingdom has commenced under the African Export Development (AFED) Programme. This shipment the exportation of 4 products to London on May 8, 2018. The products that were exported include Kulikuli, Yellow Pap, Red Pap and White Pap. The goods were shipped through the Air by the British Airways (BA074). The total weight of the shipment was about 776Kg. Even though the initial plan of the AFED was to do a container shipment of about 20MT which will contain different products but this could not be possible because of the longer credit period requested by the Distributors in the UK. In order to avoid waiting for a longer period to conclude the negotiation, we had to change our strategy to stepwise introduction of the products into the European market through a bit by bit Air shipment. This was eventually done in the month of May 2018. AFED is an initiative of 3T Impex in collaboration with Signet Corporation Limited in the UK. This programme was launch in October 2017 and it is geared towards working with Small and Medium Scale Enterprises (SMEs) to facilitate the exportation of their various products in the UK and EU markets. It is a programme that has five stages which include Stakeholders, Sample, Selection, Signing and Shipment. Many have seen the Swap deal with China as a great progress and I wonder why. Some are even saying that it would make us to buy products from China at cheaper rate that is more than 50% and this is a big lie. It is not as cheap as it is painted. It simply means that we will reduce some cross rate charges but not 5times as it is claimed in some quarters. The rate of the swap is actually about N48 because we swapped $2.35 billion (N720billion) for CNY15billion. So clearly, the conclusion of some writers are exaggerated. This is because when a Chinese says his goods is CNY1000 that is about NGN48,000 according to the new rate based on the swap. This same product at the usual or current rate will be quoted by the same Chinese at the rate of USD156.78. If you convert this to Naira it is N56,483. So what we are saving which is not bad in itself is N56 - N48 which N8. I don't think this is serious progress to trade for Nigerian that is worth celebrating because a number of African countries have signed this kind of deals ahead of us. Moreover, it is not favorable for export because if I export to China and I am paid in Yuan at this rate, I am loosing N8 for every dollar. Obviously, many exporters to China will be sticking to the use of USD for the their export transactions. Finally, I will like to appeal to the Federal Government and the Central Bank of Nigeria (CBN) that we should begin to sign deals that will help us to grow our export by making it more attractive in order to become an export (especially non-oil export) oriented economy and not perpetuate the current status of over dependent on Import. This is my humble submission on the much talked about swap deal of the CBN. Export Digest Newsletter - Nigeria Unofficially Exporting $40bn Goods Annually. 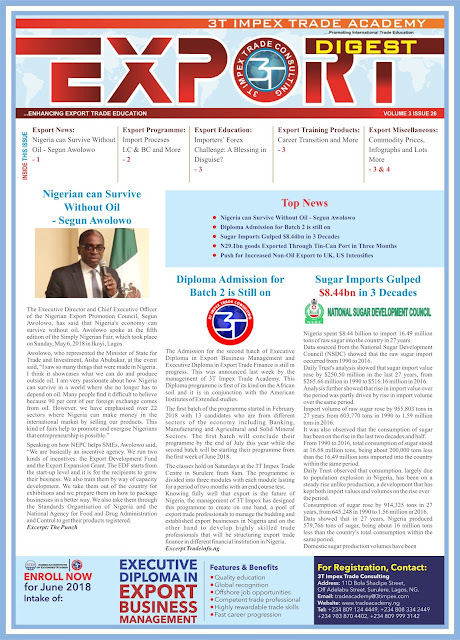 In This Week's Edition of Export Digest Newsletter - Nigeria Unofficially Exporting $40bn Goods Annually.